The development of lamps for Lighthouses presents several challenges, many of which were solved in a particularly elegant fashion by Compagnie des Lampes of France. 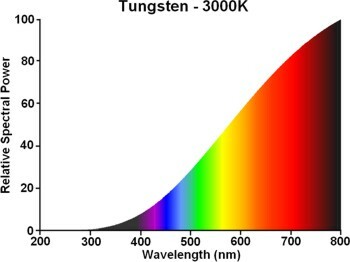 The first challenge relates to the creation of a light source having a uniform luminous intensity distribution about its axis, such that the brightness of the lighthouse is consistent from all angles. The French solution employs standard grid-type filaments arranged into a single large cylindrical body. 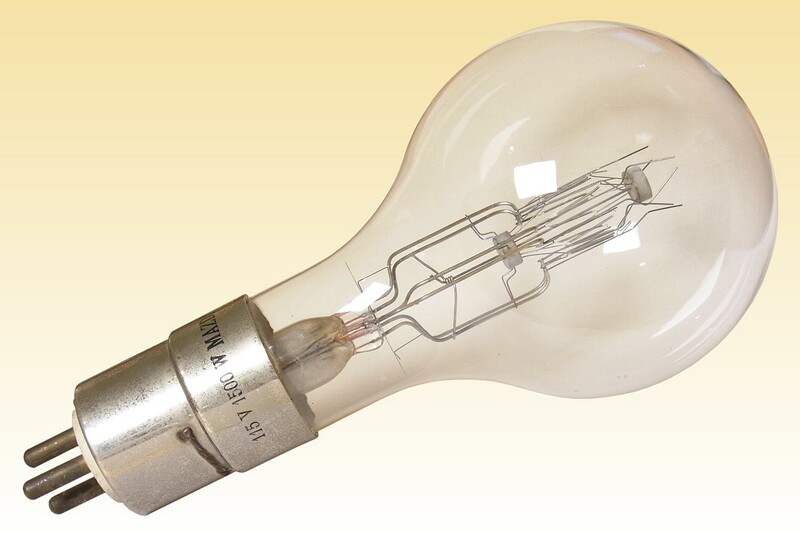 In case only one filament was used, the voltage gradient between its two ends would be too high and lead to flashover. 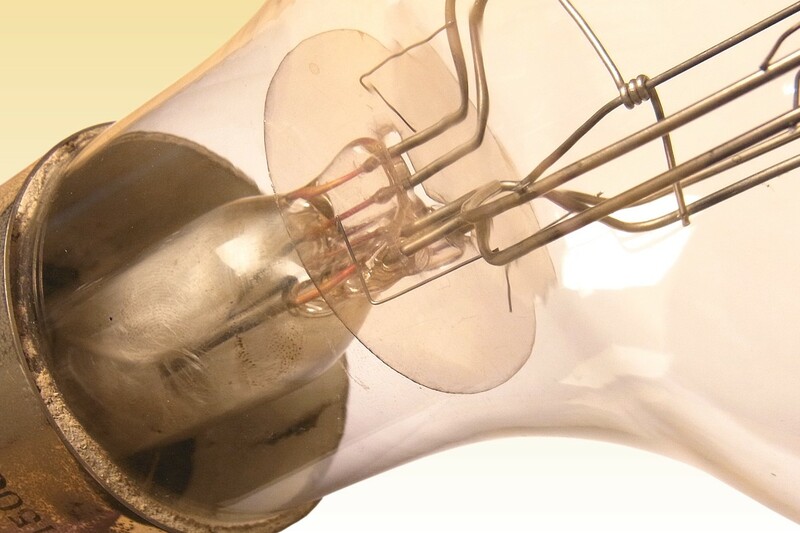 To counteract this problem, three small filaments are employed, thus reducing voltage gradients to safe limits. Since failure of a lighthouse lamp is hazardous to shipping, it is customary to provide one or two back-ups which can be swiftly brought into position, however there is always some time loss. 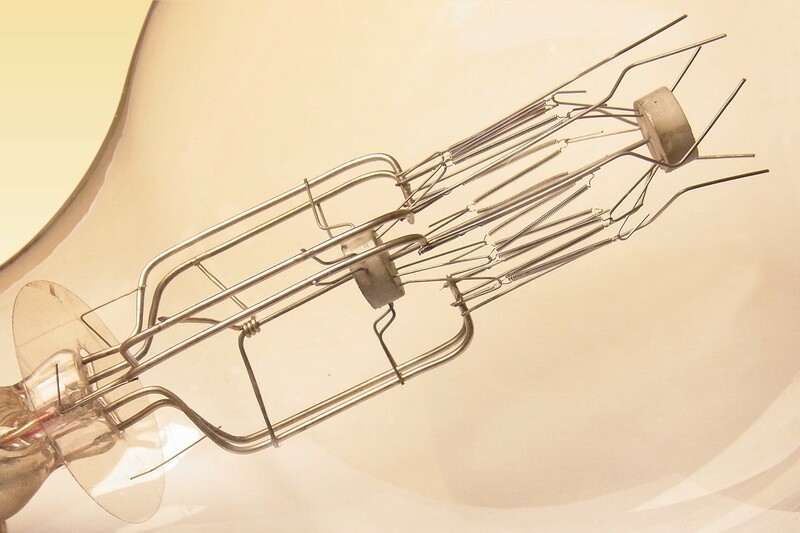 By employing three filaments, the French design ensures that if one should fail, the remaining two continue to deliver 2/3 of the full luminous flux until replacement can be arranged. Since the arcing which often accompanies filament failure may lead to complete destruction of the lamp, three pairs of so-called "lightning conductors" are arranged above the filaments in the form of Jacob's Ladders. These ensure that any arcing is rapidly conducted upwards and quenched, thereby protecting the other filaments. The resulting mount assembly is complex and requires a special six-wire stem having triple pinch-seals. 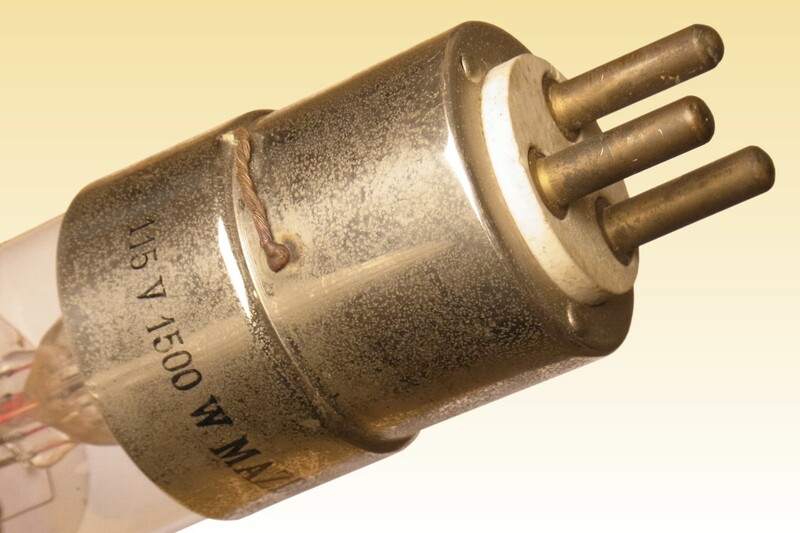 The exhaust tube is sealed to the side of the stem tube in the so-called Jaeger fashion. The cap has triple contacts enabling electrical connection of the filaments in Delta configuration. References: 1) Philips International Compact Lighting Catalogue 1987/88.